I love this cup. 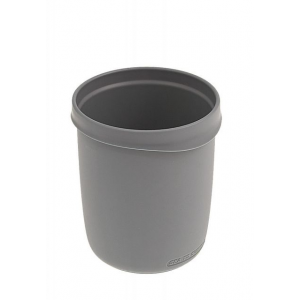 It is light (2.4 ounces) but not completely lightweight compared to ordinary plastic cups. The advantage is the collapsibility. I enjoy coffee and tea (hot) at most anytime. When it comes to the outdoors, both are essential liquids to me. I enjoy a nice hot cup of joe and tea to start the day and to ease into the evening at the campsite or waypoint. The X-Mug allows me to collapse the mug from 4.25 by 2.75 inches down to a very small size ( about 1/2 an inch), is made of food-grade silicone, and fills me up with 16 ounces of hot joe. It will easily clean, leaves no after taste (you need to wash thoroughly before the first use), and dries quickly. 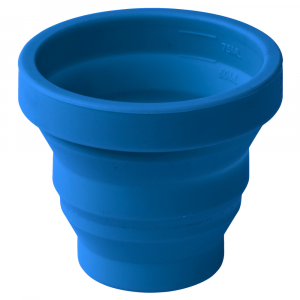 The silicone can withstand high liquid temperatures and is very flexible (except the plastic stability ring at the top). Mine (blue in color) is nestled at the bottom of my Quart capacity aluminum anodized cookset (it fits perfectly inside). I have always found hard plastic or metal cups and mugs pretty awkward and bulky when packing. They always do the job, and are easy to handle/use, but I've been on the lookout for something more packable. I finally tried the Sea to Summit mug. It has been a nice surprise. Being collapsible it takes up much less space when packed, and I can even slip it in shorts/pants pocket so that it is accessible at a moment's notice to take a drink when on the trail. 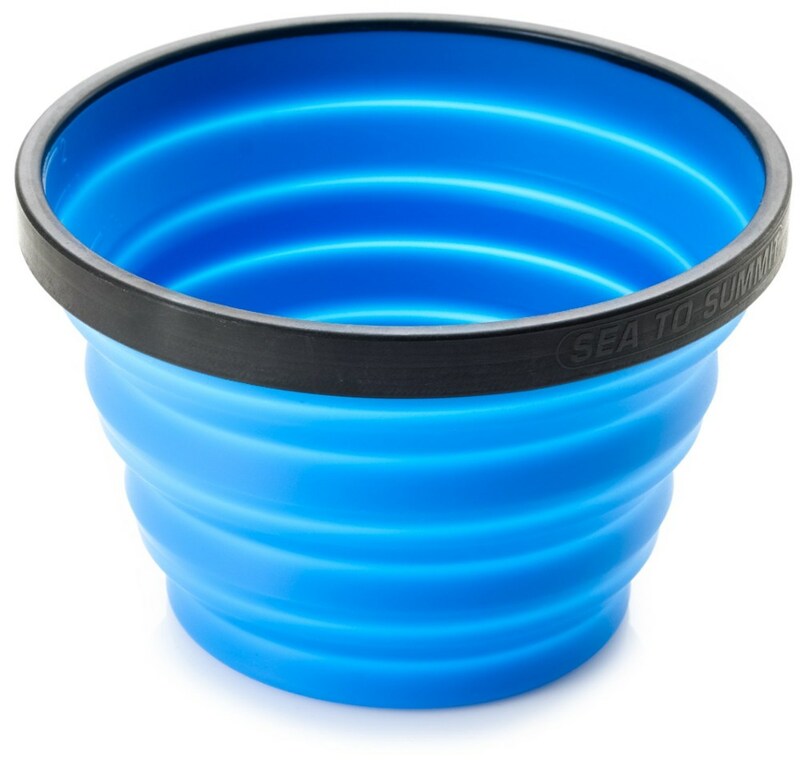 The collapsible feature means that the bottom of the mug is narrower than the rim, so it can be tippy on some surfaces when really full. Is easy to hold. I've used it for drinks both hot and cold. Thanks for the review, alpine1. How hot of a drink is comfortable to hold in the X-Mug? Boiling would probably be uncomfortable for me to hold, but then it would be too hot for me to drink anyway. I pour my morning backpack coffee (Via) just before simmer, which is OK to hold in the mug. Thanks for the info, alpine1. Purchased with the X Bowls for my wife and I, mainly to use for early morning backcountry coffee. Nothing but good things to say—compact and light. Sturdy upper rim that aids the hold. Even with a hot drink, you're able to hold without it being too hot. Expect to have and use for many years to come. 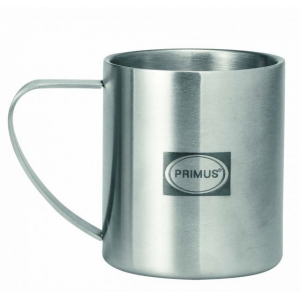 Don't pack the kitchen sink, a couple of these collapsible mugs and your all set! These are great, I use then for coffee and eating meals. It's really the only thing I need to bring when backpacking for eating or drinking at camp. 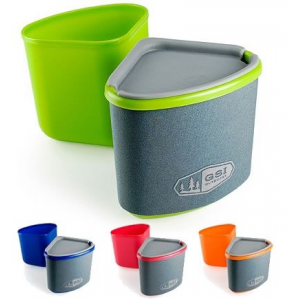 They double as a measuring cup which comes in handy for measuring water for dehydrated meals. I got two for Christmas last year. 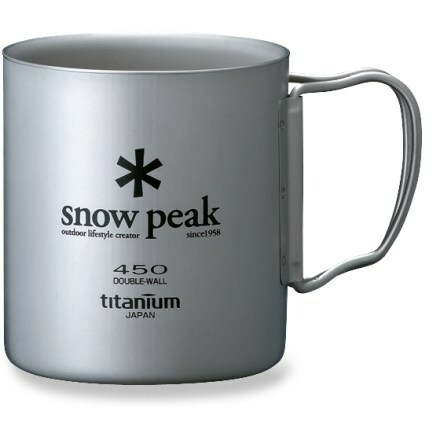 Great mug for backpacking. I got two for Christmas last year. 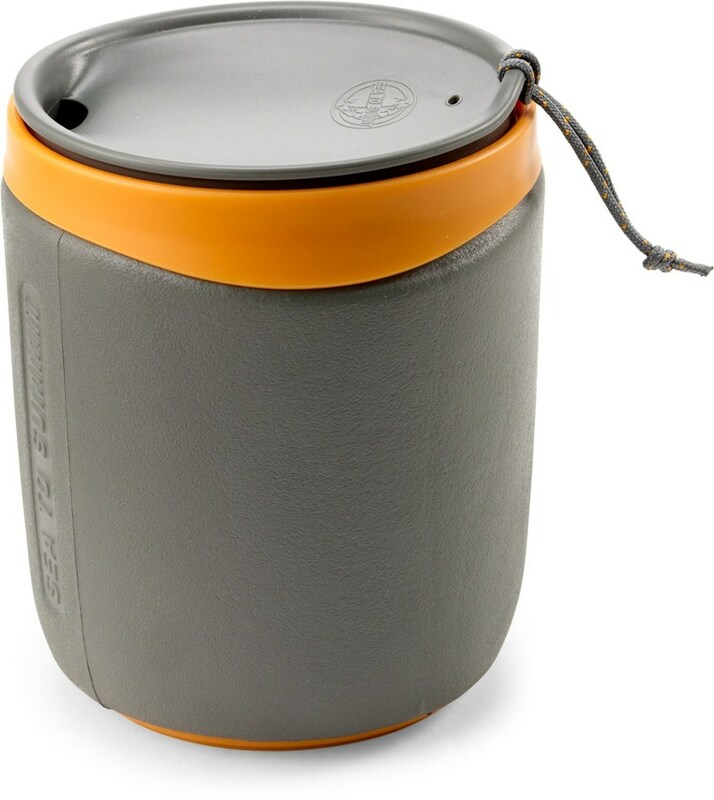 Great mug for backpacking. It holds a generous 16 oz. of liquid, and it collapses flat for easy storage. Fits perfect in the bottom of my titanium cookset with the fuel canister. I use mine mainly for coffee or Tang. With hot liquids the sides can get hot, so hold it along the top plastic ring. I use to use Lexan mugs, and although they were lightweight they were more cumbersome to pack. The X-Mug is so much more compact.